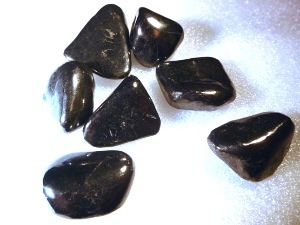 Shungite is a black, lustrous, non-crystalline mineraloid consisting of more than 98 weight percent of carbon. It was first described from a deposit near Shun'ga village, in Karelia, Russia, from where it gets its name. 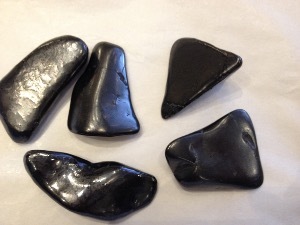 Shungite has been used in medical treatment since the early 18th-century. Peter the Great set up Russia's first spa in Karelia to make use of the water purifying properties of shungite, which he had himself experienced. He also instigated its use in providing purified water for the Russian army. 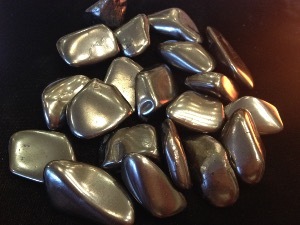 The anti-bacterial properties of shungite have been confirmed by modern testing. Shungite has been used since the middle of the 18th-century as a pigment for paint, and is currently sold under the names "carbon black" or "shungite natural black".